Outstanding interview and article on Doing Business in China from The Financial Review, March 28th, 2013. More Publicity For This News — INTHEBLACK, Australia’s most-widely circulating monthly business magazine, just posted a review. 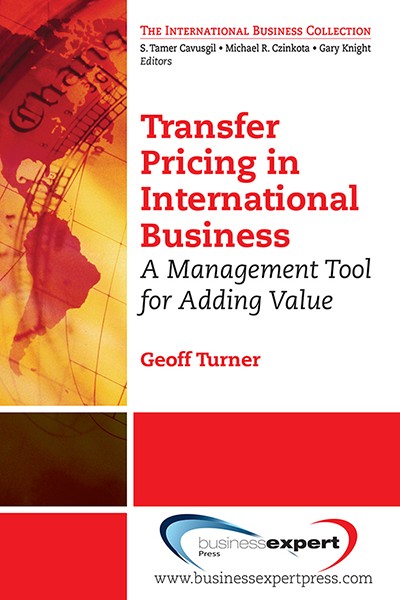 Although this book has a specific focus on Australian firms doing business in China, the important and unique contribution this book makes will help you and anyone in an organization that is considering doing business in China. China maintains a high growth economy and is currently the second largest in the world. 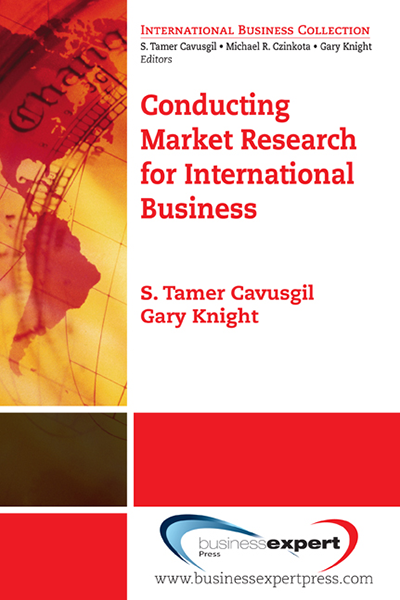 This book, which includes results from research interviews conducted with business executives from 40 organizations, will assist in preparing to do business in China. This book takes you through the various elements associated with doing business in China, including the opportunities that are available and the obstacles that organizations can face, supported by data from real businesses internationalizing to China. It examines key areas including the foreign direct investment and trade framework, Chinese culture, political and legal frameworks, intellectual property regulations, motivations for internationalization, market entry strategy, and human resource management issues. 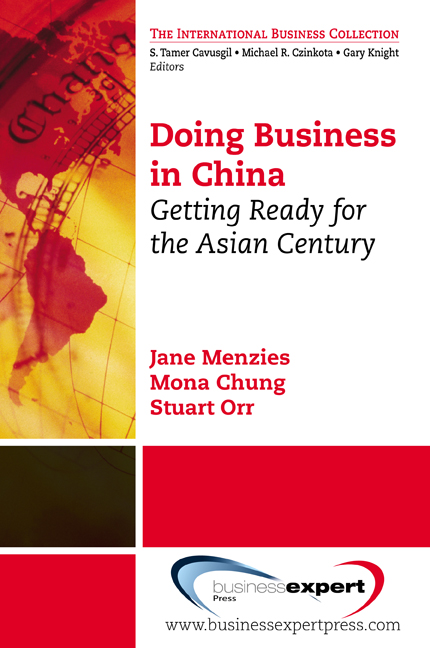 Although this book has a specific focus on Australian firms doing business in China, the important and unique contribution this book makes will help you and anyone in an organization that is considering doing business in China. China maintains a high growth economy and is currently the second largest in the world. This book, which includes results from research interviews conducted with business executives from 40 organizations, will assist in preparing to do business in China. This book takes you through the various elements associated with doing business in China, including the opportunities that are available and the obstacles that organizations can face, supported by data from real businesses internationalizing to China. 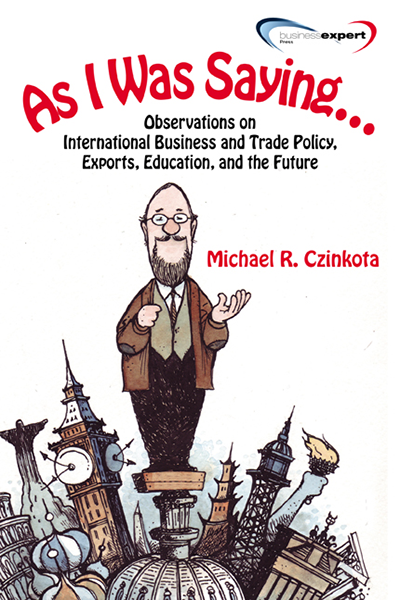 It examines key areas including the foreign direct investment and trade framework, Chinese culture, political and legal frameworks, intellectual property regulations, motivations for internationalization, market entry strategy, and human resource management issues. Although this book has a specific focus on Australian firms doing business in China, the important and unique contribution this book makes will help you and anyone in an organization that is considering doing business in China. China maintains a high growth economy and is currently the second largest in the world. This book, which includes results from research interviews conducted with business executives from 40 organizations, will assist in preparing to do business in China. This book takes you through the various elements associated with doing business in China, including the opportunities that are available and the obstacles that organizations can face, supported by data from real businesses internationalizing to China. 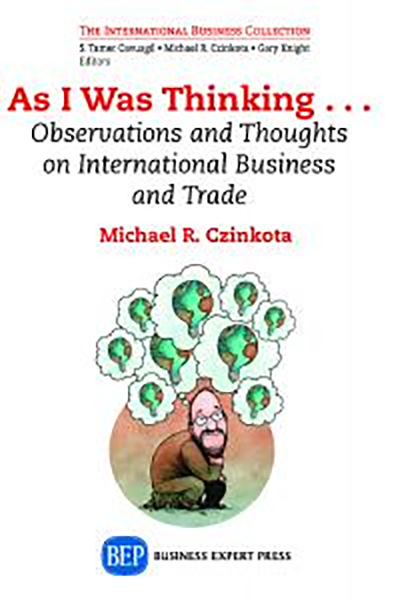 It examines key areas including the foreign direct investment and trade framework, Chinese culture, political and legal frameworks, intellectual property regulations, motivations for internationalization, market entry strategy, and human resource management issues.